Flight bags come in every possible size and price. Depending on the type of pilot you are, another flight bag will be a better fit for you. With this guide, we will help you pick the best flight bag! No time to read the full article? View our recommendations. 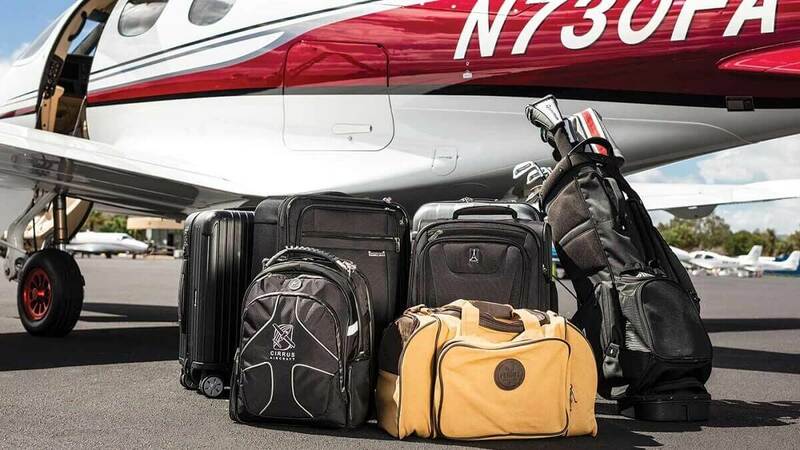 Whether you’re a student pilot taking your first lessons, a private pilot going for a $100 hamburger on a Sunday or a full-time professional pilot, you need a proper flight bag to carry all your precious gear. 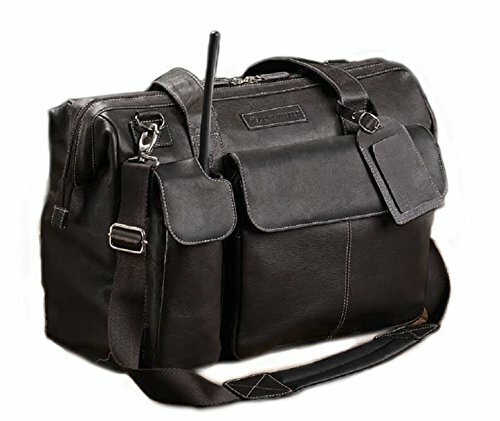 Not only is a flight bag a must-have for every pilot, it also defines your style as a pilot and is, therefore, a great style accessory if you value that. Every flight bag is different and fits other needs. But how do you decide what kind of bag you need? To help you answer this question, we will first cover some important things to consider with flight bags. The first difference between flight bags lays in the type of bag. Some flight bags can be carried as backpacks, others require a strap around your shoulder or just a simple handle to carry by hand. Below you will find different types of flight bags, it's up to you what you prefer. When it comes to flight bags, size does matter. 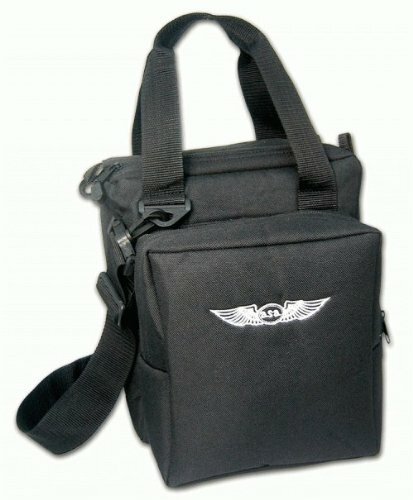 Depending on your own unique needs, you will have to go with a different size of flight bag. This mostly depends on the stuff you are carrying with you on your flights. Is your flight bag paperless? Great, then a smaller flight bag will do the job. But if you need to carry multiple headsets and books or other documents, you will have to make sure there's enough space for those and go with a larger model. Another aspect that will influence the desired size of your flight bag is the space you have in the airplane. Tucking a big bag away in the small space behind your seat might not be ideal and could cause damage to the flight bag and aircraft. You have to make sure that your flight bag is big enough to fit all your gear but small enough to not make it a hassle on board. A flight bag is only as practical as the number of compartments it has to store your gear like headsets, radios, books, charts and logbooks. Keeping your stuff organized before, during and after your flights is important, and could one day even save your life during an emergency. Finding that one pen during turbulence, untangling your headset wires and finding the right chart can be a struggle. Modern flight bags can prevent this by helping you organize all your stuff and make it easy for you to find the things you need, whether it's on the ground or 30,000 feet in the air. Flight bags are made of different materials. The material has a big impact on how protective the bag is, but also on the price. 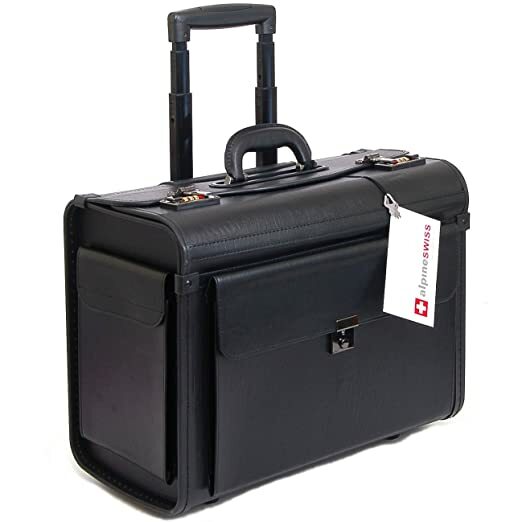 Traditional hard case bags provide the most protection for your stuff. These bags are usually wheeled trolleys and often used by commercial pilots who have the needed storage space in the airplane. A second popular material is standard nylon or polyester. Flight bags made out of these materials are often less expensive but still provide very decent protection. In the list below, you will find that we often use denier as a measure of the fineness of a fabric. As a rule of thumb, the higher the denier, the stronger the fabric. It is best to select a minimum of 600-1800 denier polyester toward the least expensive end and 500-100 Denier Cordura or 1800 to 2500 Ballistic Nylon at the more expensive end (source). The last category of flight bag materials are the leather flight bags. These are usually the more expensive ones that are slightly heavier but provide great protection, are durable and look very stylish. You can find our selection of leather flight bags at the end of this guide. Just like headsets, flight bags come at different prices, depending on the size, material and brand. Your budget will play a major role in deciding which flight bag to go with. Below, you can find our list of the best flight bags. This list is divided into different categories based on the type of pilot you are and the budget you have. Of course, flight bags that are good for one type of pilot can be just as good for other pilots, so feel free to pick any bag you like. Every type of pilot is different and has different needs. For student pilots, we found a few interesting flight bags at an affordable price, something that's important if you're just starting out in aviation and have to pay for all your flight training. Another important aspect for student pilot flight bags is that they need room for books and paper, because you will often carry books with you as a student pilot. Jeppesen's Student Pilot Bag is the most affordable flight bag on his list, and therefore perfect for student pilots on a budget. 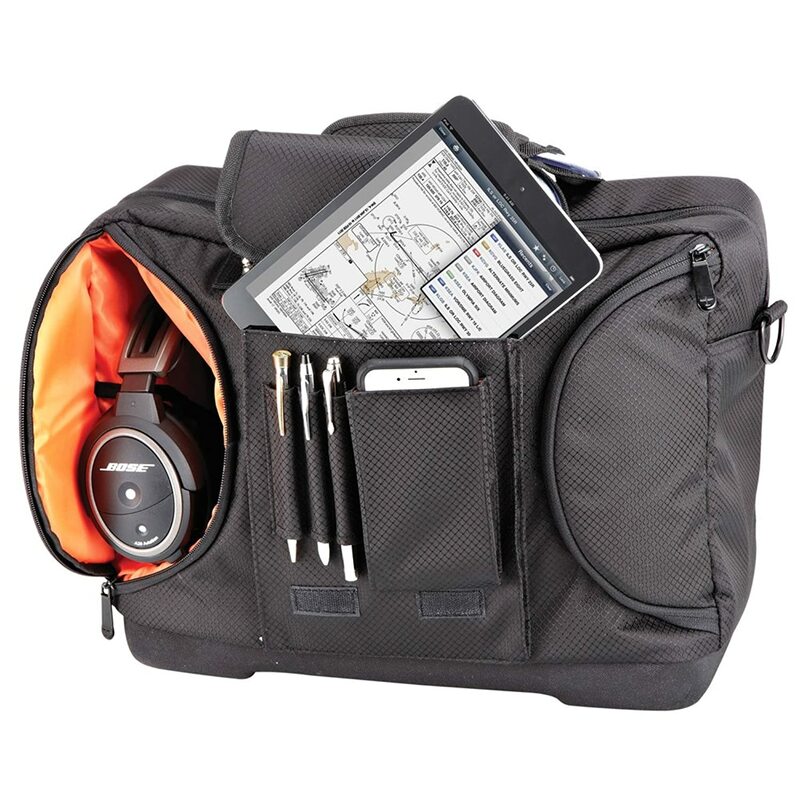 While compact, Jeppesen's sturdy Student Pilot Bag provides plenty of storage space for all your aviation essentials. In addition to the double-zippered main compartment, the bag features 7 exterior storage pockets for easy organization and quick access to all your must-have tools. 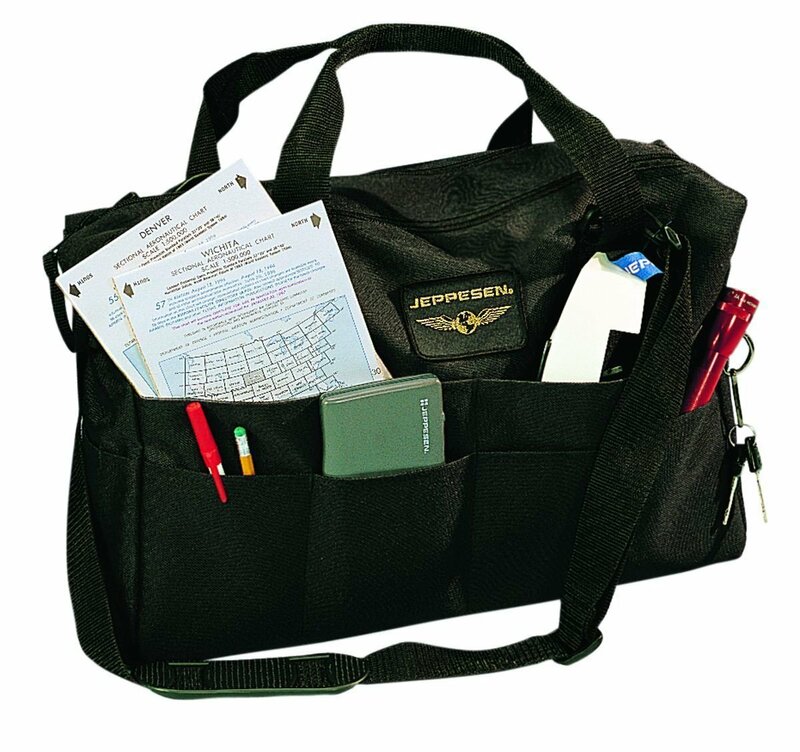 Three of the outside pockets are ideal for pens, flashlights, a fuel tester, and similar size items, while additional compartments are well suited for aeronautical charts, a calculator/E6B, a plotter, and more. Also features an interior key clip for easy storage and peace of mind. The bag you want for your everyday flying: big enough to hold everything you need but compact enough to carry and store easily. It's made of fully padded nylon for extreme durability. The Pilot Bag is the simple, no-frills bag of choice for everyday flying because it's big enough to hold a pilots essentials yet compact enough to carry, transport, and store easily. This bag is a favorite among both fixed-wing and rotorcraft flight instructors who often recommend it to their students for solo and cross-country flights. 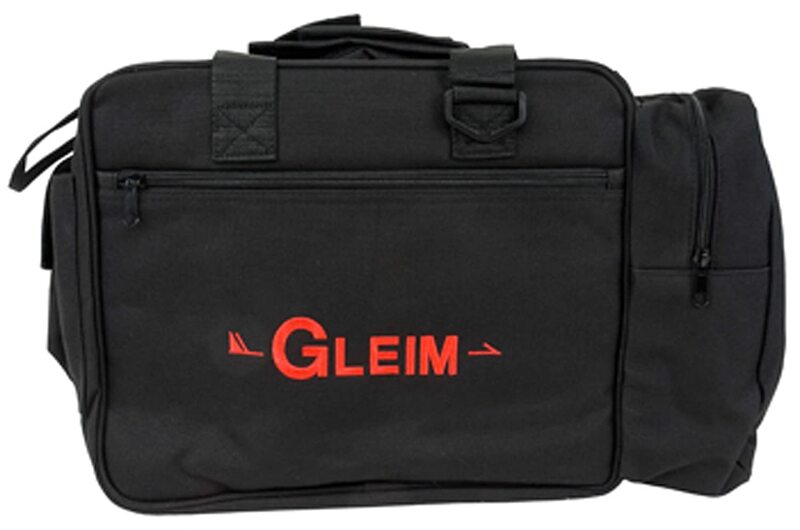 With an attractive and durable design, the Gleim Padded Pilot Bag makes an excellent carry-on for all of your flights. 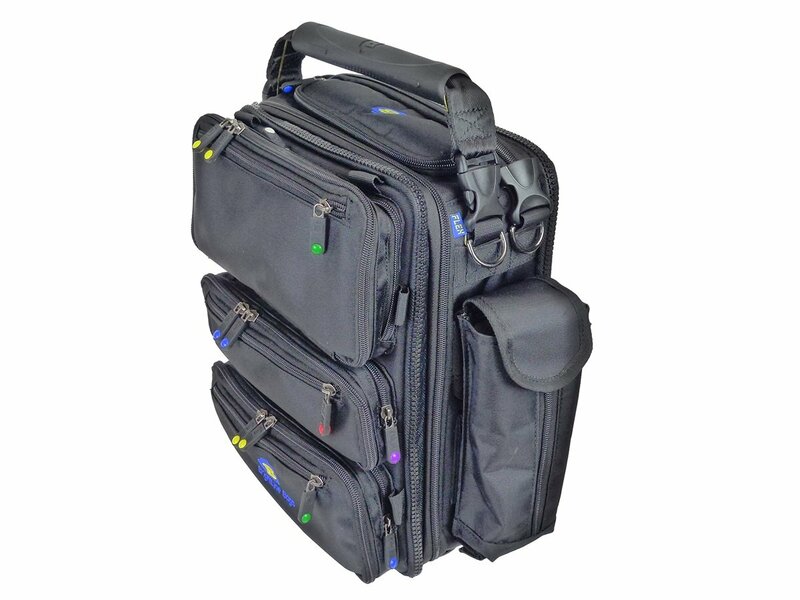 This flight bag was created for easy, in-flight organization and quick access to your flight equipment. 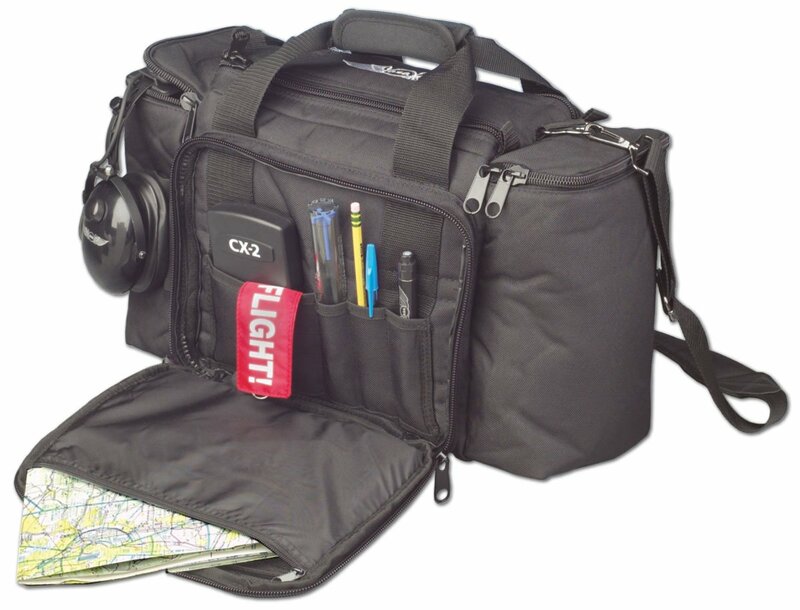 It contains an exterior, padded headset compartment, front, rear, and side pockets, a cell phone pocket, pen slots, and a place to keep your IFR goggles. It also has large dividers inside for easier organization. The Flight Gear HP Crosswind bag has the most important feature students want: low price. 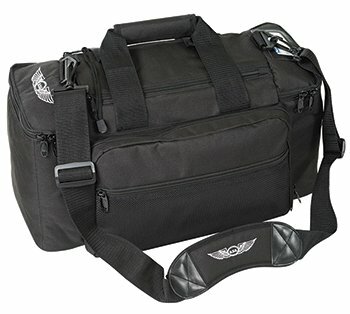 You can put more cash towards flight training and less towards gear with this bag. There's enough space for a headset and books, yet small enough to not throw off your weight and balance. 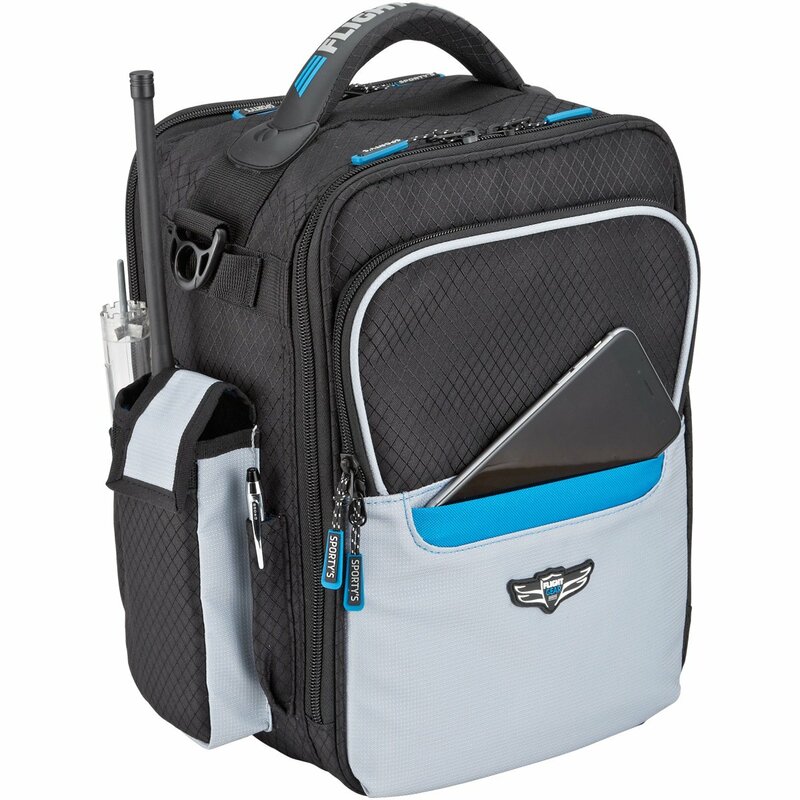 The iPad Flight Gear Bag was specifically designed for the iPad pilot with lots of pockets for organization and custom pockets for protecting important electronics. All your gear fits in a bag perfectly sized for the cockpit. Includes a high visibility interior, padded non-slip shoulder strap, and a heavy duty carrying handle. The HP iPad Bag was the winner of a 2017 Editor's Choice Award from Aviation Consumer Magazine. With a clean, sophisticated and professional look, the ASA AirClassics Flight Bags have been designed and engineered to be supremely functional. They re able to stand up to the toughest treatment possible and still look great at the end of the day. 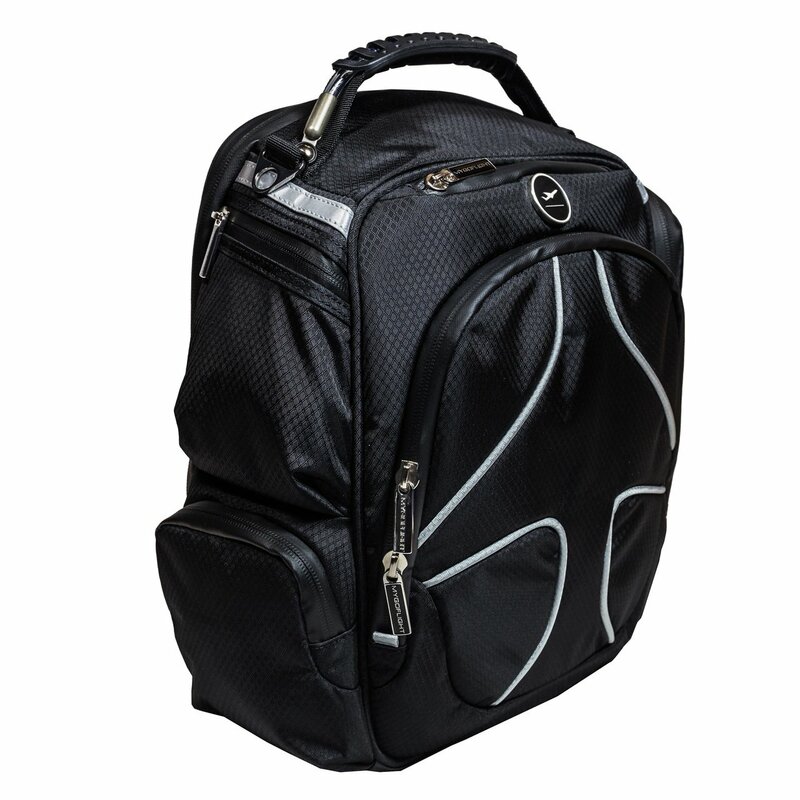 The large, single-pull, divided and zippered main compartment, along with the headset pockets on both ends, are fitted with large, sturdy zippers for easy handling. You can count on ASA s AirClassics Flight Bags to bring many years of utility and pride. Though this bag is small, it features both external and internal pockets and plenty of open room to pack a powerful storage punch. Durable nylon and reinforced braided steel handles make the bag long-lasting, while the adjustable shoulder strap will keep you traveling in comfort. The Lift Travel Bag has a water bottle/backup radio pocket, Fuel tester pocket, 2 external chart pockets and more internal compartments for batteries and other gear. We wrote a review about the Flight Outfitters Lift bag here on the website! You can read our review here. Durable nylon and a braided steel handle mean The Flight Level flight bag will withstand all the usual airport wear and tear with ease. The bright orange lining will give the bag a pop of color while you store your items in one of the many pockets or the file folder. 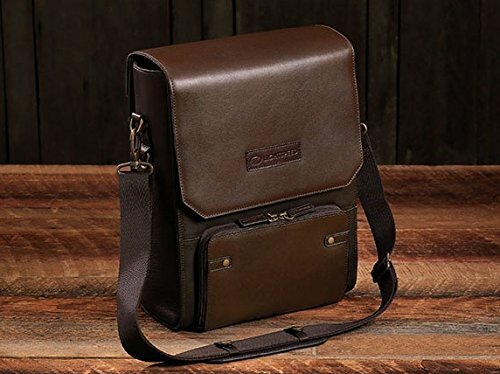 Small enough to fit under your seat, but large enough to hold your tablet, headset, and whatever else you might need, this bag is sure to become your favorite travel companion. The PLC Sport Flight Bag is a smaller version of the Flight Bag PLC Pro. 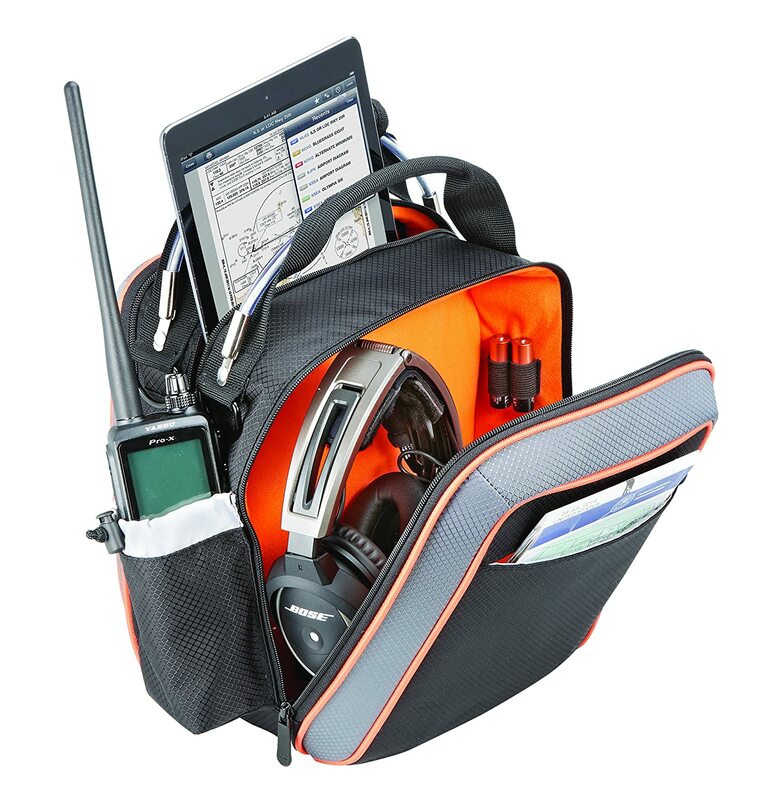 Just enough room to carry one headset, an iPad/EFB, a handheld radio, and other gear. It has a modern style and sleek exterior, but it is loaded with pockets to give you the style, storage and functionality like never before. The PLC Sport can stand up on its own, making it easy to load and access gear. It is also equipped with a laptop pocket that fits laptops up to 13 inch. 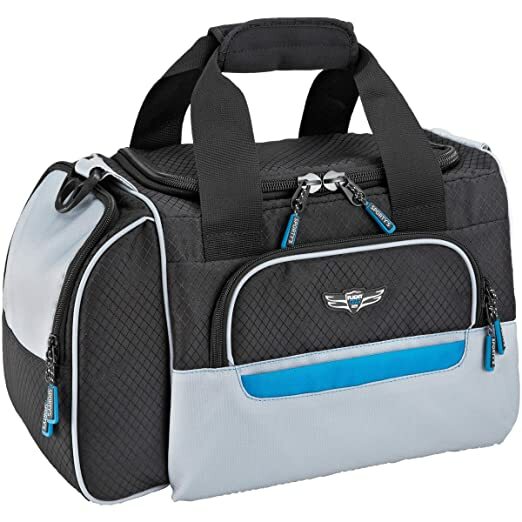 The Brightline SWIFT is often recommended as the ideal VFR flight bag. It's designed to hold one or two full-sized headsets plus a handful of charts, and/or an iPad, plus all the small stuff you'll want along for the ride. It also serves as an unbeatable carry-on personal bag when traveling on commercial flights, or just as a terrific daily bag for a wide variety of personal and professional uses. The PLC Pro is MyGoFlight's best selling flight bag. It has a modern style and sleek exterior, but it is loaded with pockets to give you the style, storage and functionality like never before. Just like the MyGoFlight Flight Bag PLC Sport, the PLC Pro can stand up on its own, making it easy to access and store your stuff. This model can also fit laptops up to 16", compared to the 13" limit on the cheaper model. Thoughtfully designed to be both compact and functional, the Markham is perfect for the pilot who never knows what adventure waits at the end of the next runway. This leather flight bag is handmade from full-grain, oiled South American cowhide in espresso brown with contrasting black leather pocket flaps. While embracing the traditions of yesteryear, Lightspeed flight bags are also born of the same aviation focus we bring to our headsets and incorporate insightful features designed for the modern pilot, like purpose-built pockets for headsets, iPads, and transceivers, and rugged, but wing-friendly, textured PVC bottoms. The DeLaurentis is a new kind of flight bag designed for today's pilot. It features clean and compact lines that conceal generous interior space and digital-friendly utility. The DeLaurentis (named for modern aviation adventurer and author Robert DeLaurentis) is just big enough to comfortably fit a headset, a radio and some charts. A padded iPad pocket provides both protection and easy access while another wide interior compartment holds sectionals and other flat items. Heavy-duty brass-finish steel rings on the outside are also perfect for attaching accessories. Carry all you need to carry for work or travel with ease with this large rolling briefcase with telescopic handles and plenty of room. And it is lightweight! Made from the best possible materials and providing a great value. This briefcase is roomy, well designed and sturdy. 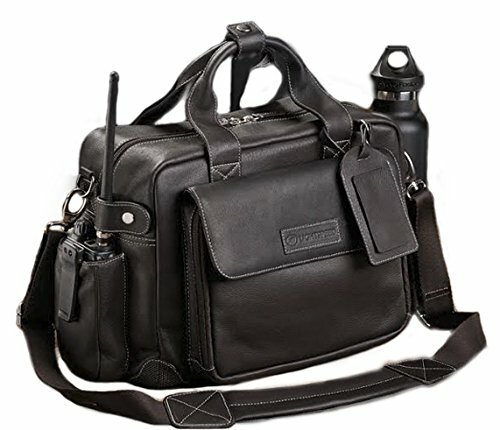 From binders to headsets and other gear, the Jeppesen Captain Pilot Flight Bagg is fully-padded and holds it all. 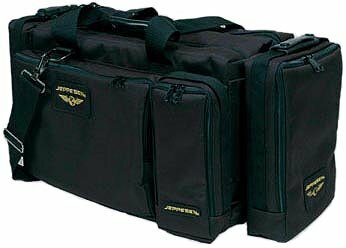 The Jeppesen Captain Pilot Flight Bag is durable being made from polymer with a water-resistant PVC coating on one side. Focusing on a clean, sophisticated and professional look, these bags are designed and engineered to be supremely functional, able to stand up to the toughest treatment possible, yet still look great at the end of the day. 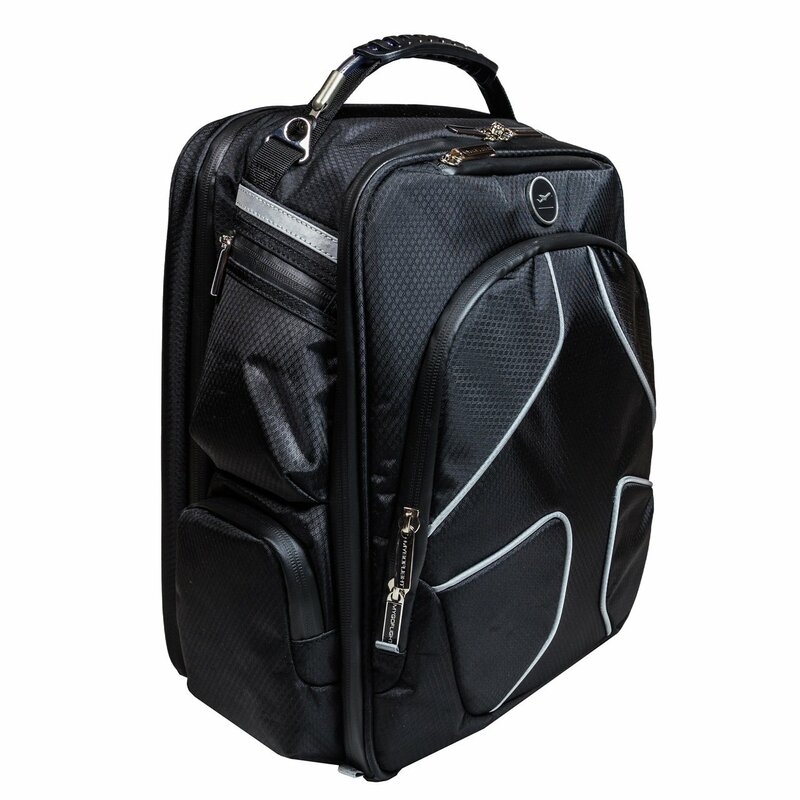 Airclassic bags are some of the most functional pilot bags available, and classy enough to carry straight from your airplane to a business meeting. At over $200, The Gann by Lightspeed Aviation is the most expensive but also most stylish flight bag on our list. Spacious but cabin-friendly, this carpenter-style bag is a great companion to the pilot who has everything — and likes to take it along. The Gann leather flight bag is handmade from full-grain, oiled South American cowhide in espresso brown with contrasting black leather pocket flaps. We discussed a few key points to keep in mind when choosing a flight bag, but in the end, it all comes down to your own preferences and taste. The type of flight bag you want, the color, material and size all depend on how you are planning to use it and what gear you need to put in it. Your flight bag keeps all your precious pilot gear safe and protected. Just like a good aviation headset, it's an investment that will keep paying off, flight after flight.